Over the summer, the folks at Ball sent me one of their new to FreshTECH Jam and Jelly Makers to try out. I spent a few weeks playing around with it and in early September, I wrote a blog post documenting how it works and how the jam I made turned out. You can read that post here. Essentially, it’s a terrific tool for beginning jam makers focused on small batches, folks who don’t want to heat up their kitchens in the summer months, and anyone else who needs an extra hand when it comes time to preserve. If you make larger batches, really like using your stovetop and controlling the process (count me among that group), then it may not be the perfect appliance for you. Happily, there’s enough space in the canning world for all of us. One of the limitations of the FreshTECH is simply that there aren’t a ton of recipes designed to make use of it at this time. 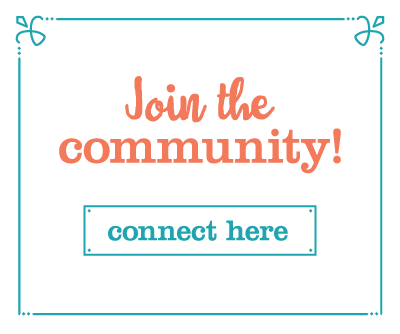 However, the recipe developers over at Fresh Preserving (that’s Ball’s online home) are trying to change that. They are regularly adding new fruit and spice combinations to the website (click here to see all the currently available recipes) and are asking for input on which seasonal recipes they should work on creating in advance of the holiday months. If there’s a particular preserve that you’d like to see, make sure to click over to the Ball Facebook and leave a suggestion. You can also tag them on Pinterest if you’ve made a preserve you think might be good transformed into one for the FreshTECH. Now, for the fun part. They’ve given me a FreshTECH Jam and Jelly Maker to give away. If you want a shot a winning this unit, here’s what you do. Leave a comment on this post and share your favorite method for cooking preserves. Crock pot? Stove top? Dehydrator? FreshTECH? Comments will close at 11:59 pm east coast time on Saturday, November 3, 2012. Winner will be chosen at random and will be posted to the blog over the weekend. Giveaway open to US residents only (so sorry, far-flung friends). Disclosure: Ball provided both the review unit pictured above and the giveaway unit at no cost to me. However, my opinions remain firmly my own. ← Upcoming Classes: Philly, Bucks County and Brooklyn, NY! I like all the different ways you mentioned. I like the slow cooker, when I need to get things done and don’t have the time to stand at the stove. I like the dehydrator, when I need to reduced the amount of space for the produce. Lastly I like the stove, when I’m in the kitchen just puttering around. I switch between crock pot and stove, but I would definitely use one of these if I had one. I’ve only used my stovetop, so I guess that’s my favorite. Stove top, though I’m going to give the slow cooker a shot this week, I think. I’ve only used my stovetop, but this would broaden my horizons! slow cooker! I have a friend that makes a day of her apple butter – doing it in a big copper pot over an outdoor fire! I use my stovetop, but in the summer I hate heating up my house and have been known to drag out my camp stove on our back porch to put up some jam! This looks awesome, though! I have only used a stove so that’s my favorite? I however only deal in small batches and have destroyed preserves by being too impatient so I’d like to try one of these! I tend to use the stovetop but my 11 year old son is now loving to help and this would be a perfect size for him to experiment with some of his ideas in smaller batches and with less risk. I have only used a stove top method, but I would love to experiment with other ways! Thanks for the giveaway! I preserve on the stove top with my Mauviel Copper Jam Pot and also Use a Kilner Jam Pot when I cook on my induction burner. I often make small batches though and this would be GREAT for those times. All I have is the stove and a crock pot. I tend to use the stove but only because I have not learned enough to use the crock pot more. I would love something for smaller batches. It would be really helpful. I usually do the stovetop. Although to be fair I have only tried stovetop and my slow cooker so some experimentation with the other methods is still in order. Thanks for the chance to win. I DEFINITELY prefer stovetop. Problem is, I make such small batches that it’s often overwhelming to think about making such a huge mess for six half-pints! I prefer preserving on the stovetop, so I can obsessively keep an eye on what is happening. But this device seems like a great way to control recipes that tend to spatter more! Just look at that nifty lid. 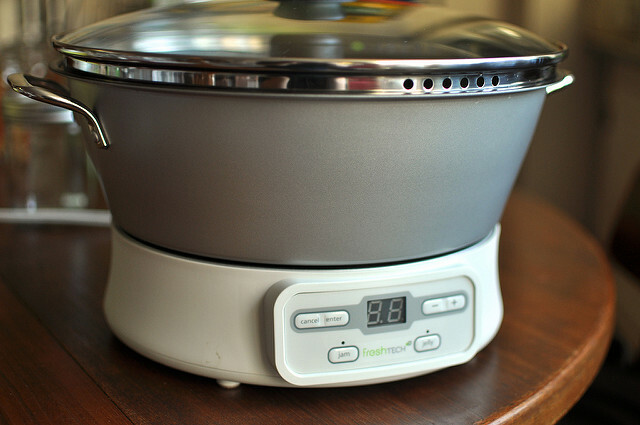 I have tryed the slow cooker, this FreshTech looks interesting. Sign me up! I’ve only ever tried the stove top method. I have a recipe for the crockpot and hope to try it soon. This tool looks useful! Thank you for the giveaway! I mainly use the stovetop for my canning/jamming efforts, though my favorite apple butter recipe that uses NO added sugar, just some Italian prune plums to sweeten, is dynamite when cooked down in the crockpot. After it’s sufficiently thickened, it goes into the hot water bath so there again I’m using the stovetop. So, I’ll need to learn more about this new method, and would love to be a winner of one! Thanks for the opportunity. I haven’t tried making preserves yet, but I really want to learn. Thanks for the terrific giveaway. Favorite method for cooking preserves? FreshTECH – don’t know. Maybe this will be my new favorite. I would love a new toy to experiment with. I use my crappy rental kitchen stovetop, which works, but isn’t without its drawbacks. Making something like apple butter has been difficult on a stovetop with pronounced hot spots. I’ve done stove top and slow cooker. I like both methods! Right now I have only cooked on the stove. I thought about doing a very small batch in the microwave, but I chickened out (splatter-patrol!). I would love to use this appliance! Thank you for such a generous give-away! I do it with my crock pot, but I’m excited to have the chance to win one of these!! Stove top for now. It would be nice to try this new way. I’ve made preserves using the stovetop and crockpot. I like the crockpot for its ease and just letting things sit for awhile without having to constantly be watching over it. But then again, I like the feeling of doing work and accomplishing something after being over the stovetop all day! I am relatively new to preserves and canning. Everything is on the stove top at the present time. I read your review and it seems like this would be good for the small batch of preserves or jams I might make. We have satsumas that are getting close! My crockpot is truly my best friend. I use it for making a lot of my preserves, homemade greek yogurt, and of course dinner on a regular basis. I’d definately start making my jam in a freshtech if I had it, because that would allow me to get the crock pot working on something else. Since my kitchen is shared with four others and I only have one big pot, that is what I use to make jam! I love my crockpot for butters and sauces (apple, pear, peach) but use the stove top for more traditional jams. I’ve recently started making smaller batch/less sugar jams in a large open skillet. I would love to have one of these jam pots to play around with! I haven’t made preserves yet because I haven’t had time. This looks like it would be a great way to get into making them though! I’m all about the stovetop, but I make so much at a time, I’d love an additional method in the madness! I’ve only used the stove top, but have been working on utilizing my slow cooker for more things and more often. As a person relatively new to preserves, I’m trying to get a range of experiences. I’ve only ever used my stove so this would be fun to try! I use the stove top for jam making, but we stay at a RV park April thru October and the stove top in our camper is pretty small. A FreshTECH would definitely help. Maybe my 3 year old can help in making jam, instead of just helping in eating it. I generally use the stovetop, but I have been known to make some in the crockpot from time to time. I ususally cook my jams outside on my outdoor cooktop but I would LOVE to have one of these!!! Thanks. My favorite way of making preserves is the old school way. Fruit, sugar and pectin, maybe a little water, but not much. I own a grove of lime, orange & grapefruit trees. I make a lot of Marmalade on the stovetop. I’d love to try this machine…I’d also love to find a machine that can supreme the fruit for me! I like stove top, crockpot and dehydrator. i use stove top and crock pot for jams, jellies, salsas, preserves, etc. i have stretched out to small batches to try new recipes and this would work really swell. Stovetop is pretty much all I’ve got. Luckily it’s also my favorite! I haven’t ventured into making jellies yet but prefer my stove top for jam making. However, I won’t use anything but my crockpot to make butters (apple, pumpkin,peach). The crock allows my butters to cook to perfection without having to devote all of my attention to it. This summer we set up a canopy at a friend’s house and set up an outdoor canning kitchen. Set up several six foot tables so we could really spread out and didn’t have to any mess. It’s so nice to be able to hose down your work surfaces! We use propane burners and I must say its now my favorite way to can. stove top! (when a very busy 2yrold grandchild is napping…always worried that she might get a splatter burn). Stove top canning is the only method I’ve ever used, but I’d sure love to try the Fresh TECH, especially for some no-added sugar recipes! 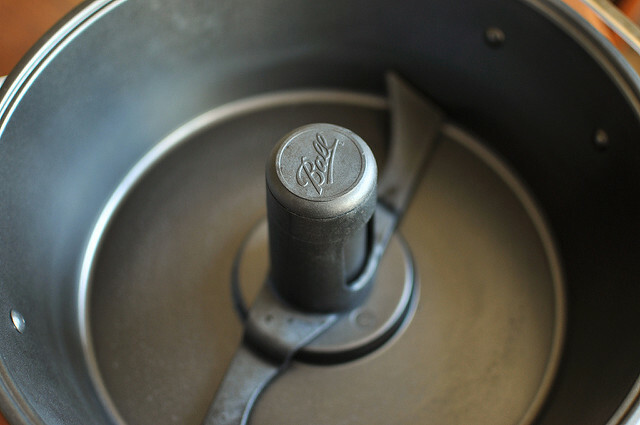 stovetop method is the only one I’ve ever used, but I’d love to try the Fresh Tech! I haven’t actually preserved food on my own but Saturday Nov 3rd, 2012 is going to be my first try, with my mom, we are using a pressure canner. I will be preparing a batch of apple butter overnight to put right into jars on Saturday morning. Looking forward to it and many more!! This would be a great start to my canning life. I use the stove top method. It works well and when I remember to use a wide bottom pot, it works great! I’ve been thinking of plum preserves lately. I need to find the pot and make some jam…..
Canning is new to me, so far I have only used the stovetop. But I’d love to have a new way to preserve the fruits of summer. the holidays are coming and I am starting to make the edible gift baskets. I usually use the stovetop, but I just made applesauce for the first time in my crockpot last week and it came out really good! I am new to canning, so stovetop is the extent of my skills now. I always use the stovetop for jams, and the crock pot for butters, but I always end up most of those in the summer and would to have something that isn’t so hot! Stove top is the only way I have ever made it…..
I’ve only ever done it on the stove top – but this is my first (albeit prodigious) year canning… and I’m hooked! Crock pot, definitely, but I’d love to try this gadget out! Stovetop but I would love to have a FreshTECH! Stove top ! But i would love the jam maker for small batches.thank you ! I’ve done jam on the stovetop and apple sauce in the crockpot. I’ve always used the stove top… open to new things though! I am new to canning and have only used the stove top. I do small batches of jam at a time so this would be perfect for me. I have always done stovetop, but would love this…it would make like easier! Stovetop!! – But would love to check this one out too!! I just started dabbling this summer and have only used the stovetop method. But this new device looks really easy & intriguing! I use the stovetop for fruit. It takes a long time and is too hot so I’d love to try out a better way! I never knew there was another way other than stove top until this year. This would make my life even more stress free as I could have the stove top to be multi-tasking! I’m a fan of the stovetop, but I’ve finally made my first batch or apple butter in the crockpot, and I can certainly see myself doing more of that! 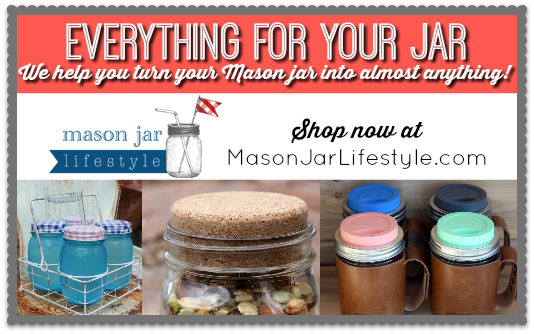 I have been canning for years now and I love it! I was taught by a one hundred year old woman who was just amazing. She always talked about making apple jelly. I have not found the right recipe yet and I would love to try out the FreshTech!! I have just started on my journey of canning and preserving. So far I have just made relishes and pickles but am eager to learn more! I have used the stovetop and crockpot. I love making preserves on the stovetop in the wintertime but think that this new maker would be great for trying new flavors/types of preserves. Thanks for doing this! I do all of my preserving on the stovetop or through lactofermentation. my big problem is that I commit myself to using enormous amounts of produce, so this gadget might help me work in smaller batches. I like the cooktop, control is key! I’ve only ever used the stovetop, but this looks like a worthwhile shortcut. If I don’t win, I may just put it in my Christmas wish list. This is my first year canning and I have just tried the water bath on the stove top, next year I am hoping to try other ways. I’ve tried dehydrator, crock pot and stove top and I think I like the crockpot the best for fruit butters for sure. I’m still trying out jams and jellies. I got as far as picking berries but just froze them because of timing. Intrigued by the maker for sure! I have not canned or dehydrated anything in years and my new hubby loves home canned food items so you can bet I will start. This jam maker would be perfect. When my children was small and I canned I used on the stove method and used my dehydrator all the time. Now I would use the crockpot for ease and I need to get a new dehydrator. I love making jams and jellies. I recently made some crockpot blueberry butter using the recipe I found on this site. It was really delicious, everyone liked it. I would have never thought to use my crockpot to make jam. I really enjoy making it from fresh fruits, there’s nothing better. My husband is diabetic and he likes my sugar free peach jam. Usually I’m a stovetop kinda girl but I do apple butter in the crockpot! I like all three methods of preserving. They all serve the purpose with each having strengths and weaknesses. I would love to give this a go! So far I’ve only made jams and jellies on my stove top. I love apple butter and think the crock pot would be interesting. Having a jam maker would be great so I can keep my stove burners free for other uses. I have always made preserves on the stove top….I love to can, & I love new “tools” for any kind of cooking…this would be a fabulous thing to have ! I have canned for many years. Always cooking the jelly the old fashioned way that I was taught. No store bought pectin and boiling it for at least a couple hours. Depending on how much juice you have. This year was the first time I bought pectin and made some jalapeno jelly. Its a hit at our house. I’ll be making it again. I also made peach jalapeno with no store bought pectin. It was a huge hit to. I learned to make jams on a stove, so that’s why I’m most comfortable with. It’s such a great way to preserve fruits. My mother had strong cravings for jams when she was pregnant with me, and I attribute my love of them to that fact. 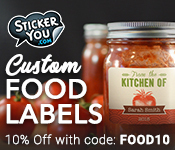 I have only canned tomatoes and pickles, but I would like to try raspberry preserves, apple butter, and many others! I have only used stovetop…I enjoy it, but would love to have this jam & jelly maker. I like to do everything on the stove top! My favorite preserving method is stovetop jam/jelly making! Trying something new might be interesting. I’d love an easy way to can small batches! We like making jellies from the different variety’s of super hot peppers we grow. This would be just the thing. Our current favorite method is stovetop. I have only used the stovetop, but I have looked at the Freshtech in the store. I’m a beginner canner, so the product does have it’s appeal. The way my mother did, on the stove top, into sterilized jars and lids, then processed! I’ve only used the stove top, but would love to try other methods. I’ve only used the stovetop method but haven’t made jam in so long because it is so time consuming. I’m intrigued with this gadget! I use my stovetop to make my preserves. I usually use the stove top, but I’ve tried the crock pot and my favorite was a batch of mixed citrus marmalade that I cooked over a fire, it retained just a tinge of the smoke and it’s fantastic over pork. I mostly use the stove top. I dream of the day I have an outdoor set up with a gas stove but that’s still just a dream and the stove has always served me well. Classic, I like to think. I have yet to make jam. When you said it was good for beginners I had to leave a comment. I want to try my hand at jam. I’m still a beginning canner and haven’t ventured into jams. Although I did make candied peppers which are amazing, especially with home made farmers cheese. So far I have only used my stove top for preserving, but this is my first year. Sadly most of my jellies turned out weird but that’s not going to keep me from trying. The Kitchenaid to strain pears and apples, the into the crock pot for fruit butter. I might be lazy. I use my crockpot to make apple butter and such. I would love one of these to make jam and jellies in. I am slightly disabled right now and this would help the process. I am a beginner canner. I have only ever tried the stove top method. This looks really awsome I would love to win one. I have made jam on cook top and in a crock pot. I much prefer the stove top but am interested in trying the new fangled FreshTECH! Making jelly and jams are my 2 favorite things to put in jars. I have done Crockpot, but prefer StoveTop. Nothing like the smell (and Taste) of homemade jam on toast or biscuits!!! I’m a huge fan of canning stove-top. However, my old crockpot has turned plain old apple sauce into the most rich, delicious Southern Apple Butter ever. Would love to see how this little gadget does on jalapeño jam! Crockpot is my favorite method so far. I have had my eye on these jelly/jam makers. Favorite method? Stovetop jam making. But last summer I had the crockpot and dehydrator both going while coming up with mango jam recipes during the height of the season. I didn’t love mango butter, but the dehydrator was going non-stop for at least a month this year! Only made freezer jam. But I’m on my 3rd year of canning and I try to do something new each year. My favorite method is the old fashioned way. Just cooked down in an enameled pot. I do stove top, crock pot and dehydrator. I am doing apples and pears right now in my dehydrator. Try misting with a little vanilla, it really brings out the flavor. Yum! This sure would be nice to have! Stove-top, I love stirring and watching the progression. I do all my preserving on the stovetop! I’m new to preserving. I’ve only done jelly on the stovetop before, but I have several crockpot recipes saved to try. I like the idea of not heating up the house, especially in the summer. I make jams the old fashion way on the stove. I truly would love to have this maker. My canning is done primarily on my stovetop. The more I do, the more I want to do! Mother Nature is rebelling though…Arthritis is back with a vengeance. I hope this product would help to relieve this for myself and many others! So far I’ve done fruit butters on the stove and in the Crock Pot – like the ease of the Crock Pot. I haven’t done any other jams/jellies yet except freezer jam a few years ago. This was my first year canning. I have done stovetop and Crock-Pot (for apple butter). Would love to try small batch in this unit! I’m a newbie to canning and there are only 2 of us here. This would be wonderful for the jams I’d like to make! And I wouldn’t have to use the stove and heat the house up during the time I’m using it! It looks like a great product and I’d love to try it! I love stove top with my Le Creuset pot but I recently got a slow cooker and made apple butter and applesauce. Never been easier! I’ve only tried jam preserving once, we picked huge amounts of strawberries, cooked it and canned all without issue, unfortunetly no one told us about not using cast iron, makes for quite the change in taste. I would love to be able to make jam at my house instead of someone else’s I’ve looked at that machine. I have a cooktop and I’m told I shouldn’t use it to can. I didn’t really think about using a crock pot I’ll have to check that out too. Thanks! We use all, but this method so far, but this would be great for if you have a big batch on the stove, and just want to “whip up” a smaller batch of something else at the same time… We make Jams/Preserves/Jelly/Butter/Sauce/Soup Starter. I love making apple butter in the crock pot….but do jams & jellies on the stove!! We can and dehydrate. If we have a ton of something or it isn’t so great dehydrated (like cucumbers) we’ll can it. Otherwise, the small batches go in the dehydrator. I tried jam on the stovetop and was more successful with the stone fruit jams. I seem to have trouble with pectin. I’d love the opportunity to try out the FreshTECH! I’ve only ever used the stovetop, this would be great to try! I love my crockpot apple butter. I would like to see what I could do with it. I’m a newbie so I don’t have a favorite method yet. Would love one of these as I am single and small batches appeal to me. I do apple butter in the crockpot, jam & jelly on the stove. This looks interesting! I use stove top and dehydrator and this would be awesome to have! I love using the stovetop to cook my jams, although I would be interested in giving this FreshTECH Jam and Jelly Maker a try! Just the traditional stove top method but very anxious to make small batches and customize spices and flavorings. Plan to make some more elderberry jelly or jam next year, also quince and crabapple. I am still fairly new to canning and have thus far only tried the stovetop method. The FreshTECH Jam and Jelly Maker sounds like something I would like to try. I have only used the stove top method. As a canner who likes to compete with my canned goods, the FreshTECH is the answer to a lot of prayers! It allows me the ability to make one pot on the stove (my standard way of jammin’) and one in the FreshTECH when I am under the gun on time getting my goods prepared to go to the fair. I was able to use my 4H clubs unit to make several jams for a fair this year and I found it to be amazingly wonderful in helping me get ‘er done. Several of the jams I made with the FreshTECH were even winners!! I love the idea of multitasking and getting a variety of things done as the same time. WooHoo Ball!! Great gizmo!! I would love to win your prize so I can keep on keepin’ on!! I’ve done a couple of things in the crockpot, but usually I end up going classic with the stovetop! I like to make jam/jellies on the stovetop. This gadget would probably help me be more efficient while making jams for my wedding guests this year!!! Oh My! This looks interesting!! I had no idea there even was such a thing but I love to try it out!! Straight up enamel-coated cast iron Dutch oven. Although if anything gets a little too sticky or burned on it is a giant pain to get clean. One of these jam/jelly makers would be wonderful! I use the stove top method, although one of these days I want to try some oven apple butter! On the “to do” list! I use the stove top and would love to try the FreshTECH Jam and Jelly Maker for my specials jams. Retirement has brought about much more canning and freezing and we are enjoying it very much! Anything to make it easier!! I have only made jam the old fashioned way on the stove. Usually around the holidays: cranberry, fig, or pear jam. Would love a chance to win this! I always use my stove top but would love to own one of these. Fingers crossed!!! We make our apple butter in the crockpot and jams on the stovetop. Im quite new to canning. I just started this season to try teaching myself from books and from online. So far, I’ve only done stove top method. But this FreshTECH appliance looks amazing! I would love to try this appliance as I usually do small batches …. I use my slow cooker as much as possible. The only method of making jam that I have ever used is the good ol stove top. I would love to try this machine. Looks fun. I have always used the stovetop, but thanks to this blog I made apple butter in my crockpot this year which I was amazingly easy but very messy,LOL. I would love to try this as I like to make small batches of many different varieties of jam and jelly. I am an old fashioned girl and use my stove for all of my jams and jellies currently. Thanks for the opportunity to try out one of these little beauties! Crock pot apple butter is one of the easiest and most delicious things I make… 4 batches this fall and counting! I always use the stove top, but recently with the chillier weather I have been doin some butters in the crock pot. I love my crockpot and the house smells divine while it cooks down for so long. The FreshTECH would be great for during the week when I have a craving for a small batch of something in particular but little time. I’m a born again canner. Resurrected my childhood observations, memories and conversations and started to can. Stove top. I didn’t know there was any other way, until I stumbled on a crock pot recipe! Both methods are fabulous, but I’m really ready to try this beauty!! I am trying a recipe making apple butter in the crockpot. Hope it turns out yummy. I’m a rookie canner/jam maker. I made my first batches this year on the stove-top. I would love to try this gadget out! Long slow boil on the stove is how I make my blackberry and raspberry jam, but I would love to have one of these! I’ve only used the stovetop. I don’t know why I’ve never considered other methods–but I will now! I use the stovetop method with pectin. My favorites include strawberry banana and banana bread butter. A new method would be fun to try. Stovetop, although I like to use the crockpot for things like bbq sauce. I usually make my jams and preserves on the stove-top. My neighbor has one of these, however, and it’s wonderful! I’d be thrilled to death for the opportunity to have one of my own. I make freezer jam for my husband. It’s just the two of us, so small batches last a long time. He loves the raspberry jam I make. The Fresh Tech looks like it would fit right in with my style. Depends on what I’m making! I love to dehydrate fruits, and I’ve started pickling…I tend to do butters in the crockpot (pumpkin butter is the latest), while I tend to do jams in a pot on the stove. Have been eye-balling one of these for a while and would love to try it out! My new favorite way make jam is to use my oven and bake the fruit. Then to run the fruit through my food processor, can it and be done. I can cook fruit in the oven while I am cooking apples down on the stovetop. It makes life a lot easier! I’m a fan of the stovetop method, but it definitely heats up the kitchen. The flip side, of course, is that the steam that’s heating the kitchen is mixed in with the fragrant jam smells, a smell that’s worth all of that heat! I have only done it on the stovetop. Last year I made grape jelly and apple butter. This year made strawberry jam. They always taste so fresh. I would like to try more and small batches with the fresh tech would be a great way to try many different recipes. Love to learn to make Jell–Jam–etc. with Fresh Tech. Stove top for me – it’s the way I learned to do it with my mother when I was younger. 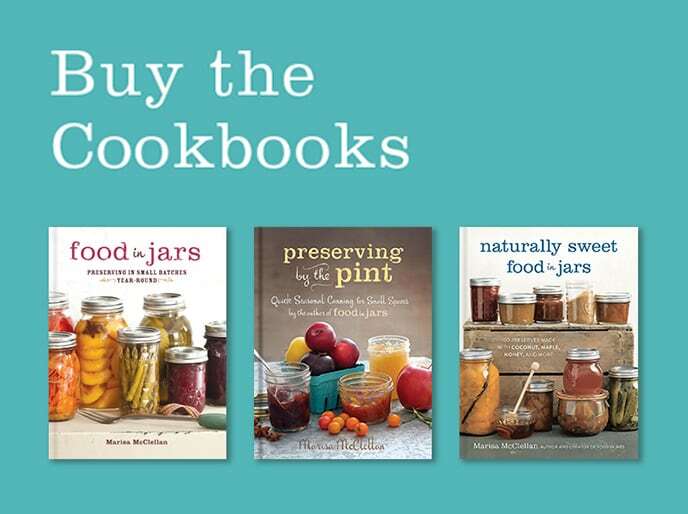 I always use stovetop, but my daughter has finally exhibited an interest in learning about canning and preserving, and I think this would be perfect for her to learn and experiment! I’ve only made preserves on the stove with my gramma. Right now I do all of my jam and jelly making via stovetop, but I would love to see if this would make easy work for all of my Holiday preserving plans. I’ve only used the stovetop. I’ve only ever gotten around to trying stovetop, would love to try a new method! I’ve got to say that I’ve always been a stove top girl because of the size of batches I had to do for a large family. Now that the kids are leaving the nest, I am looking for easier methods to make smaller batches. This would be perfect. Thanks for hosting this give-a-way! My favorite method to use to make preserves is the stovetop method, but the only other method I’ve used is freezer jam, which I don’t care for. This machine is really intriguing; especially when I have small batches to deal with. I love the process of making jam on the stove. However, having two very young children, (& 70 lbs of apples last year), crockpot apple butter was a life-saver. I’m definitely a stove-top girl. If I’m going to make jam, I usually don’t have the patience to wait for the crockpot. Plus, with a crockpot, I can’t control the amount of liquid cooked out of the finished product quite the same way as on the stove. But I have to admit, I’d really like a chance to try out the new gadget. I use a nice electric kettle for my preserves, with nice high walls and a more precise temperature control. It also saves room on the stove for canning. My wife is the jam and jelly maker in the family. 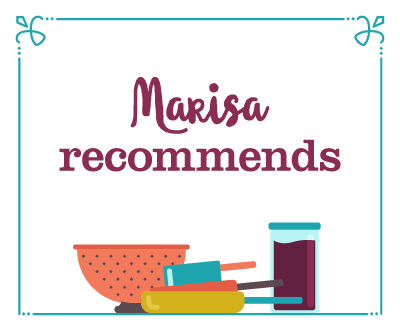 She has always used the stovetop method to keep us stocked with strawberry (her favorite), raspberry (my daughter’s favorite), and blueberry (my favorite) preserves. I, however, am the cleanup crew. I think I am the one who needs the Fresh Tech! This is sure Handy. If it could make small easy batches, then I’d like to try one, considering that this household is entirely electric based, and it’s harder to adapt to rather than a Gas operated one. My health requrires home made food; but my fingers are not nimble enough to keep stirring. Stovetop, in small batches. The Marisa way! I’ve only used my stovetop and would love to try this gadget! I just use my stove top as I’m a brand new canner. Would love to have the FreshTECH though! I’ve only used the stove and stainless steel pans. This machine looks great! I just recently started preserving. I have only used the stovetop. I would love to try this machine! I usually use the stovetop but with just the two of us small batches would make more sense. Thanks for the chance to win. Stove top…but I’m anxious to try something new. Stovetop is the only way I have gone. I am a hands off preserves maker. Tried making fruit butters in the crockpot peach turned out way better than apple butter. I do however like the control of the stove top for other canning projects. I am a crockpot cook. All the way. I have use both the stove top and crock pot, I would have to say I prefer the stove top. i use the stove top when making jam and make sure that i have everything ready or i end up flustered 🙂 this little jam/jelly maker would be A M A Z I N G ! thanks for sharing! I have tried to make some of Ball’s receipes. Am new to canning but determined. Being empty nesters this would be great. Thanks for the chance. Preserves in the crockpot make it so much easier! Definitely my favorite way. I’ve only ever tried stovetop. I am pretty old fashioned in my approach, but maybe I need to explore the world of newfangledness! We live near a peach orchard!! I can’t wait for summer because of this very fact!! We put our camp chef stove outside on the patio and CAN CAN CAN!!! Using the stove top method outdoors is CRUCIAL when you live in southeast Arizona!!! I’ve only used the stovetop to make a total of 2 batches of apricot jam. Stove top for jams and jelly because I like to watch it and see how it’s doing, but I was going to make a butter in the oven to see how that goes since it take so long. I would love to give the FreshTech a try though! I only make preserves on the stove. I just started canning and I didn’t even know you could use a crockpot! Stove top, definitely, although in my most recent attempt at making apple butter it took /forever/ on my elderly electric stove and I wished my previous attempts at apple butter in the crockpot had been more successful. I’ve used the stove top for jams and a crock pot for butters. I’d love to try this new gadget though, especially on hot summer days. Not gonna lie. Farmer’s Market. Or Grocery Store. I am old fashioned, and use the stovetop and a wooden spoon. I never thought about doing preserves in the crock pot. When I make preserves, I want to do it and be done. I have only ever cooked jam on the stovetop with a Thermapen but I definitely cook fruit butters in a crockpot. Always on the stove. That is how gramma did it and how daughter will do it. Tradition. I have made jams on the stovetop and butters in the oven. I like the stovetop method best. Oh, I did make a batch of blueberry butter in the crockpot once. As I said, stovetop’s my fave. Stovetop has always been the way for me! But I would love to try a different method. I’m a stovetop girl, too. But I make apple butter in the crockpot and would surely give this guy a try for some small batches (I’m thinking of the cherries I drag back from the Northwest in the late summer!). jam in a pot on the stove and apple butter in the crockpot! I would give my right arm for this. Favorite way to preserve? Stove top & dehydrator. I’ve made jam on the stove top and apple butter in the crockpot. I have only used my stovetop to make preserves. I use both the stovetop method for jams, and the crockpot for butters! I love my homemade jams & butters! Yum! I prefer to make my jams on the stovetop and my butters in the crockpot. This would be amazing,to make a small batch of different jams.I seem to say if I am going to make jam,I make enough for an army.This would help me try smaller batches and maybe be more diverse!!! !Thanks for the opportunity to try to win!!!! I use the stove top method although lately I’ve been taking the last of the tomatoes and throwing them into a pie plate and roasting them in the oven with pepper and lots of garlic. Mostly stovetop, but a crock pot for apple butter and peach butter. This would be soooo much fun to play with! I love new “gadgets”! But being a mom of 5 I rarely have the extra income to purchase something like this! Thanks for the opportunity to win it! My favorite method for making strawberry preserves is stovetop. However I am always open to new gadgets and this one looks very interesting! I’ve only ever canned on the stove, usually big batches because I can’t see heating up my kitchen for just a couple of jars. I use the stove top but I would love to try using a jam/jelly maker! I still love to make preserves on the stovetop! I would love to try new things though. I love to read your posts and see the many differents that I can make at home to keep us free of all the preservatives! Thank you for all your knowledge!! Preserves on the stovetop is my favorite, although I’ve made some nice things in the crockpot, too. Thanks for the nice giveaway opportunity. I’ve always made my jams and preserves on the stovetop. I love trying new recipies and techniques so this would make a great addition to my kitchen! I still love the stove top! And now that our 5 children like to help, I would love one of these to teach them a new method! I cook all my jams, jellys, chutneys, and conserves on the stovetop in a big all-clad pot. I love watching the contents start to break down and change color. definitely the stove, just because I am new at this and need to be hands on! I still do my canning the old fashioned way on top of my stove. However, I am willing to always try something new and the FreshTech has me intrigued. Thanks for the opportunity to be in this give-away. I have always done my jam on the stove top. It wouldn’t hurt to try a new way! I love to use my big, old crock to make pure applesauce at the end of apple season. Nothing is easier! Except maybe that Fresh TECH! I love to make applesauce in my big, old crock at the end of apple season. Nothing is easier — except maybe that Fresh TECH! I’m a stove top girl, but was interested in the Ball unit when I saw the previews. I am a stovetop girl, but I am always willing to try anything!!! Would be helpful to be able to make small batches. I use the stove because that’s what I learned on and so does my granny (mom’s mom). My mom doesn’t can much anymore (didn’t much to begin with anyway) but when she does she’s usually making apple butter. That she cooks in the crock pot until it’s ready to go into the jars. Always found that interesting. I have done crock pot and stove top and don”t mind either one. I don’t like when it gets really hot and the kitchen is even hotter. I would like to try the Fresh Tech, since I would love to preserve more. I have made apple butter in the crock pot but usually I make it on the stove top, and try to make it earlier in the day to avoid the heat in the summer. As far back as I can remember its always been stove top. I was helping pick, wash, prep, and can in my Grandmothers canning kitchen. It’s one of my favorite memories. I was lucky to be handed down her recipes when she passed. Now I’m teaching my children all of her best! With love. I made 4 batches of jam, YEP the Pear Vanilla Jam from you OMG IT IS A HIT LOVE IT..(THank you)! but this would have come in handy i could have done two batches at a time 🙂 I have always wanted to try the Fresh Tech. thanks for an opportunity to win..
Hi Marissa! Thanks for hosting the giveaway! I use the stove-top for all my jam, jelly, and preserve making! But I would love to win this item! I like to make small batches of certain jellies just for me! The FreshTECH would be perfect for that! Blessings from Bama! I’ve only tried the stove top method. I would love love love to try the Fresh Tech. Its been on my want list for some time now! I’ve only used the stove top method. I use the stovetop for pretty much any recipe that combines flavors like cherry plum or blackberry apricot. Those are two of my favorites!! Right now our favorite way is using a crock pot. I love how easy it is! I have only ever made preserves in a large pot over the stove! I am still doing the stove top routine, but now that it is just the two of us smaller batches would be nice, maybe small and several different kinds. truthfully, I’ve never canned before.. I got interested in your site because it’s something I’ve always wanted to do. I have gotten a few supplies since reading your blog, but been too chicken to give it a go. I will do it on the stove top once I get started. This would sure help in taking that fear away..
I’ve always used the tried and true stove top method but I’m certainly open to trying new things. I’ve had my eye on one of these for awhile now, in fact it’s on my Christmas list! Since I don’t currently own one, I still use the stove top for most preserves but I do like the crockpot to make butters with. I have only used the stove top, although this could be very useful! the stovetop has been my method….. no problems so far! This appliance does look interesting to try! Stovetop. But that looks like an interesting gadget! Stove top and crock pot for me but the FreshTECH looks like fun! I usually always use the stovetop, but to be honest I didn’t realize there was any other way until very recently! I’m a very novice beginner (is that redundant!? it feels necessary 🙂 so this would be amazingly helpful…as is, of course, your fantastic blog. Thanks! Stovetop is my favorite, but I’d love to try this out! I like the old fashioned way- stovetop and my old jam pot. the stove top and no burning! stovetop. Want to try the crockpot, though. 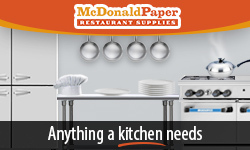 We do the stovetop method, we’re just beginners and would LOVE, LOVE, LOVE this awesome gadget! I’m a stovetop cooker, but I’ve been using the oven to roast up sauces and fruit butters lately. Also no Halloween decorations around here with the storm. The few we had up we took down and I’m certainly not bothering to put them back up just for today. My preferred method is definately the stove top. I would love to give this a whirl for the small batches that I like to stash when I only get a few berries out of my garden. definitely stove top. But this looks like a lot of fun to try out. I recently used the crock pot… which was a long process. I would love to own FreshTech. Top of the stove using my big jam pot. Right now, I make my jam using my 6qt crock pot. I like not having to watch it like a mother hen so I can get some other chores done at teh same time. I’d love to try this for small batches. Mostly I do stovetop, though. stove top in my dutch oven. I’ve always used the stovetop. I’d like to give the crockpot a try sometime . Stovetop, but FreshTech looks interesting for small batches as new recipes are added. I’ve tried the stove top, but ended up with delicious strawberry ice cream topping instead of jam. Despite long cooking and much pectin, no jelling (or is that gelling?) occurred. The FreshTech would solve my problems! Stove top but thinking crock pot looks pretty interesting! I use my stovetop with an old pot but have been looking for a used copper jam pot, hoping to find one at a garage sale!!! I’m a cooktop girl. I always say I’m going to try the slow cooker version, but when I pull it out, I end up making steel cut oats or something for dinner instead. That wouldn’t be a problem with this new toy, now would it? I’m still a stove top girl, in my enameled dutch oven. I have an electric stove top with a large stainless steel pot. However, I hve YET to make a jelly that sets!! I’m stuck with LOYS of fruity syrups. Do you think this special jam and jelly cooker would be the tipping point for me? I’ve only used a stovetop but would love to try something new! My method for cooking preserves is stove top but I would LOVE to make it using a FreshTECH Jam Maker, I heard so much about it ! Was going to buy one for my niece for christmas to entice her into canning! It’s the stove top for me, so I can stand over it and steam my face with the fabulous smell of fruit. I would love a new gadget to play with. I like to use the crockpot for most preserves because I can walk away and it gets done. Occasionally I’m in more of a hurry and will use the stove top. I’d have to say stovetop and my jam pot. I have only ever used the stovetop. I still use a kettle on the stove top, but would like to try small batch jams. The stovetop method works well for me, but would love to give this product a try. Jams and Jellies have always kind of intimidated me! But, I’ve gotten really good at making butters, like peach and apple, in the crockpot. I tried pepper jelly this year for the first time on the stove and canned in a water bath – I was so worried – but it turned into Jelly! 🙂 Getting this FreshTech would be amazing in helping me get over my silly fear of making jelly! lol! I usually use stove top but would love this! I do small batches so it would be perfect for me. I use my stovetop, though a larger stock pot would stop me catching it on fire all the time. Alternatively, this jam and jelly maker seems to lower my odds of another kitchen fire considerably! On the stovetop in my beautiful copper jam pan, but I have considered trying one of these as well! I like to use the stove top. All fruit butters in crockpot. Everything else on stovetop. Crockpot all the way, baby! Right now I’m limiting myself to the crock pot. I so miss my grandmother’s jams and this would help give me the nudge to try things that are more difficult. I have only tried the stove top method. With your recent post on the plum butter, I am looking forward to cooking it in the oven and the crock pot method for some of the butters. The FreshTECH sounds interesting also. It seems good for small batches. I am a beginner jam maker, we just moved into a home with the yummiest wild blackberry bushes! I have been making berry jam on the stove top and apple butter in my slow-cooker. I do all my jam and jelly making on the stove-top in the bottom of an old (about 50 years, in fact) bottom of a pressure canner. I had never heard of an automatic jam/jelly maker. Since I am recovering from a knee replacement, I could use one since it is coming time to make my Christmas Jam and real, old-fashioned, bitter British Orange Marmalade. Stove top! I would like to try crock pot, because with two small kids underfoot sometimes it’s hard to keep on top of the constant stirring on the stove. I’ve only done it on the stovetop, but this looks like a ton of fun! So far, I’ve been making jam on the stovetop….but I’m a novice. I have only used the stovetop. I have only done on the stove, looking forward to doing some butters in crockpot though! Stove top – I’ve never tired it any other way! I would love to have this. Ball has been sending me emails about it. I’m a gadget person. I just love kitchen gadgets. If I had enough room I’d have a lot more, but I’d make room for this if I get it, lol. I have a gas stove and that where I make my jam. I don’t usually make jelly, but I do like jam and would love to give this a try. I’ve only made jam on the stove, but this would be an excellent alternative! Stove top canner. I have such limited space between the stove top and the microwave it would be nice to use the FreshTECH on my abundant countertops! Only done it stovetop, but love my crockpot and should give it a whirl. Just stove top canning for me. I’m new to canning but have loved everything I’ve made so far. Thanks for the giveaway! Microwave. Small batch jams and marms. This would fit into my style perfectly! Thanks for letting us know about it. Definitely stovetop, although as my schedule gets busier something I could “set and forget” could be nicer. This would also make a great holiday gift for a couple of my busy friends who want to jam more. I like starting my canning in my crockpot then finishing it on stovetop. Thanks to you for showing us how to make it thick by having the lid ajar. I would like to try it with FreshTECH, though. Lately it has been the crockpot. I scored “less than perfect” pears at 25 cents a pound and just couldn’t help myself to 55 pounds! Some of those beauties are gently simmering away right now for a pear butter. I’ve only done it on the stove top. I’m a stove top kinda girl. I’ve used the stovetop, the oven, and a crockpot. I like the stovetop best. I would love to try the FreshTECH because I’ve started to make small batches of lots of different jams and preserves which has provided much more variety. I make my apple butter in the crockpot, and preserves on the stovetop. Apple-butter and applesauce in a crock-pot; all jam, jellies, & preserves on the stove top. Hi. Top o’ my tiny stove in my tiny kitchen with my big boiling water canner. Jams. I jam to tunes as I make jam. I can’t say it is my favorite method, but I have only made jams and jellies on the cooktop. I have been looking at the FreshTech and I think it would be perfect for my uses. I only make small batches with our own homegrown berries. I freeze some berries whole and make jelly or jam with the rest. I would like to do more small batch experimentation with my homegrown pomegranates and mulberries and homebrewed wine by adding different spices and flavors. Big batches on a hot stove in Central CA in hot weather isn’t always fun! And big batches gone awry after said experimentation, not good 🙂 . Stovetop is all I’ve done. I would love this as I am a traveling nurse & can’t possibly take all the canning stuff with me on the road. Just stovetop so far. I’m a newbie. But I plan to do more as I love the pretty jars and the sastifaction of knowing that I made it! I’ve always cooked down preserves on the stove top, though the crock-pot concept intrigues me. This looks the perfect tool for keeping my kitchen cooler when we actually have hot days and ripe fruit. Stove top for me… I’d love to give the FreshTECH a whirl!! for butters I oven roast… jams are on the stove top… but this looks like an interesting option. I usually cook it over the stove. Would like to try this!!! I have 6 lbs of sale strawberry begging to be made into jam, I have always made it on my stove, but I would love another way! Stove space is precious in my house! The stove top is my only option at the moment and I have already burned out one burner. I would like to try this FreshTECH. Pretty much stove top water bath canner. Everything I’ve made in the slow cooker, I freeze and let’s face it, there’s only so much freezer space. I would like to try the FreshTECH because there are days when it’s just too darn busy to do regular canning. stovetop all the way for me! I would love to try something new. Stovetop, but I keep running into small batches of berries from neighbors that just don’t justify breaking out the big equipment. Stovetop, in a heavy pan, although I have used a crock pot and/or a raoster pan in the oven for apple butter. I like to make small batches on the stove in a copper pot. I use the stovetop for making jams and jellies. I also dehydrate food as well for later use. Mostly the stove top, but lately I’ve been toying with your oven method. I make my preserves in a small pot on the stove. I make preserves on the stovetop in my Lodge skillet. It’s a boring existence. I’m actually trying a recipe in the crock pot tonight. Would love more tech! I’ve only experimented making preserves on the stovetop in my (much used and abused) Le Creuset but I would love to experiment with other methods! I just need a little courage! I haven’t yet taken on the task of making preserves, but I’ve been wanting to, and this will make getting started that much easier. I’ve only done it on the stovetop. This looks like a nice tool. I have never made preserves but would like to try my hand at making small batches. I’ve used the stove top for strawberry preserves and my crockpot for pear or apple butter. I’ve only made jam a couple of times, on the stovetop. Stovetop is the only way i’ve ever done it. Just the stovetop — which is at least as much because it’s tied to the memory of jamming with my grandmother as with anything practical. But on the practical side, I love jam and didn’t get around to making any this year, because I don’t have much focused time. I could see something like this helping in that department. I usually do stovetop, but would love to have something like this so I don’t have to make such huge batches! I use the stovetop… but this would be really nice for smaller batches! Thanks for the giveaway opportunity! Truthfully, the best canning experiences have been when we do larger batches on the stove top, taking over the entire kitchen and everyone getting involved. The crock pot is the perfect tool for fruit butters and our dehydrator gets a good amount of use as well! Would love to get our hands on the FreshTech to make smaller batches of test recipes and when we have smaller amounts of fruits, berries and vegetables! Stovetop …. But I keep over cooking and ending up with something resembling the consistency of a 100 year old gummy bear. I typically jam out on the stove, the cooking process and the canning. Super small batches that would work great in something contained. I have only used stovetop for jams and jellies. It has been hit or miss on the success for me. stove top… it’s more thrilling that way, more of a challenge! Now if only I could get a stove with more than one working burner!!! Stovetop! I’ve never done it any other way. Crockpot takes too log and with a very active 4 year old, I don’t have much time! I am still new to it, have made it in a crock pot, and stove top method This jam maker is so neat “) Good luck everyone! just in my 2nd year of preserving – dehydrator is what I am using now – I have been looking at this appliance for a while. stove top- I make my jam the old fashion way like my mother and grandmother has made for many years. I love the fact that there is a bit of family history in each batch I make. Stovetop – I’ve only helped my mom a few times but we had a great time making spiced peach jam! YUM!!! I have always used the stove top method to make my jams. I would love to win a new high tech gadget! Stovetop – My girlfriend has been begging me for months to buy her this FreshTECH Jam and Jelly Maker so I’ll do my part and at least try to win one for her – she definitely deserves it and I love her jalepeno jelly!!! I’ve made apple butter in the crock pot and it was so easy. However, I enjoy the stove top process more and like to control and add things as I go. Would love to win this applicance and try out some new recipes! I made watermelon syrup in my big roaster this summer. It takes a lot of watermelon to make a little syrup and my big roaster was perfect to cook the watermelon down before waterbath canning it. I would love to win this, it would be perfect for a busy person like me, and I like to make small batches of jams and pickles. I work full time, and I am a caregiver for an elderly parent, but I am determined to eat well, and love sharing what I make with friends and family. I use the slow cooker to make apple butter. Jams and jellies I do in small batches on the stove. Would love to win the FreshTECH. Would be ideal to make Holiday gifts with this machine. Stovetop. The whole family gets involved! I love using both the stove top and slow cooker…but in florida it gets soooo hot! This would be such a blessing! Actually, I prefer my outdoor kitchen (aka, my patio with a wooden workbench and a couple of propane cookers set -up beside the bench). I set up an electric fan nearby to stand in front of to cool off when needed. I have a portable sink that I hook the water hose up to for water needed for cooking or cleaning. I don’t heat up the inside of my house and can wash down everything with a water hose when I am done! I’ve only tried stovetop. I’m a bit of a new canner, this is only my 3rd year. The first year none of my jam set and I had to reprocess everything. I learned alot and the next year was much better. I only do small batches right now so this might be something worth looking into. I have always used the stovetop! I use stove top method with boiling water bath. Stove top. Started back when using old jars and wax was the way to do jams. Times have changed. Still make several batches. My family loves my jams. Stove top is my favorite, although the best apple butter I ever made was cooked in a Crock Pot all night because I had given up trying to cook it on the stove top. I’ve only used the stovetop method. I’ve tried several times to make jams & jellies but I always seem to over process them. The finished product is edible but not worth the hard work to get it out of the jar. I would love to win the Jam & Jelly maker so that we could enjoy the fruits of our garden labor. I am a beginner and I use the stove top method with the boiling water method. I live in an apartment with little room on my stove top for many things. So when I am making preserves that is all I can do. I would really love to use the new FreshTECH Jam and Jelly Makers. It would be great for me to make my sister and mother some jam and jelly. I use the stove top method but would love to be able to make smaller batches. I use the stove top method boiling water bath. Im new to canning but enjoy learning something new about it all the time. I never knew there was any other way to make jam except on the stove top. I would love to make it in a jam maker to have more room on my stove. I always have more than one thing going at a time on my stove & have to always put something off until something else is done. I currently make all my jams on the stovetop but I would love to get one of these! I made about twelve different kinds of jams so far this year and two large batches of apple butter. I typically use the stovetop, but when it is really hot, I use the crockpot – especially for marmalade. The Jam & Jelly Maker would be a great warm-weather option. Lately, I have been doing a lot dehydrating. Mostly for space sake. I am planning to to do a lot more canning during the month in time for Christmas. I love to make jam on the stove, especially in the summer. Would love to try the j maker though. Stovetop – though I just made apple butter in the crock pot and it came out beautifully. The good ‘ole stovetop is the my tried and true. The crockpot loves my chicken and pork but I find preserves and butters come out with an overcooked flavor. I like to use my crockpot. This thing would be great! I tend to use the stove top, but with inconsistent results. We do our preserves on the stove top but would love to use the FreshTECH! Stovetop, I make a large variety of small batches using honey for the sweetner. I still use the stove top method with a porcelain lined cast iron pot and I used a slow cooker crockpot for apple butter. I would love to win this for my wife. She is all about stovetop preserves and jam, but I’m sure we could convince her to switch. Pick me! Pick me! Stovetop for me. The only other method I’ve tried is with the crockpot. I’d have to say my favorite method of cooking jams and preserves is by stove top, preferable a gas one. Call me a control freak, but I like being able to adjust temperature and cooking time to get the results I’m after, which can vary from recipe to recipe. I’ve always used the stovetop or the crockpot. Of course, I’ve only been canning for about 8 months now. Right now, I mostly use my crockpot or the stovetop. Stove top but recently I have started using my crock pot for Apple and pear butter. Soul love to try the jelly maker. stovetop or freezer jam for me so far. Would love to expand into using fresh-tech. Thanks! I just started canning this year and have only tried it on the stove top. Crock pots rule for making fruit butters! This year, for the first time, I used the oven to do all the cooking for my spiced plum butter and it turned out wonderful!! Stovetop for me for sure. This summer I canned SEVERAL dozen various jams, jellies, salsa, etc. – all while standing at my stovetop. 🙂 I’m of mixed opinions for myself on this unit, but I’d love to win one and get to try it out for free! My favorite way is using the crockpot as much as possible. Mostly do sweet stuff. Would love to win this!! I love the ease of the crock pot, but we usually go stovetop. Almost exclusively sweet jams, sometimes with a bit of home-grown hot pepper tossed in. This is a cool appliance! I you my stovetop amd I love ball jars. But I bet I would really love this freshtech jam maker! I love to make apple butter in the crock-pot, but all other jams and jellies on the stove top! If I won this I would give it to my Mom, who’s 85 and still love to make jam, but just in small batches! Stovetop, dutch oven, and lots and lots of patience! I love to make jam, chutney, pickles…cherry jam is our favorite. I would love to try out this small batch canner. I seldom want to make enough to invest in a big canning setup, and often I make jam with less sugar than can be kept in the fridge for weeks without canning. But, I run out of room. I’d really like to be able to can some chutney to keep in the cabinet. 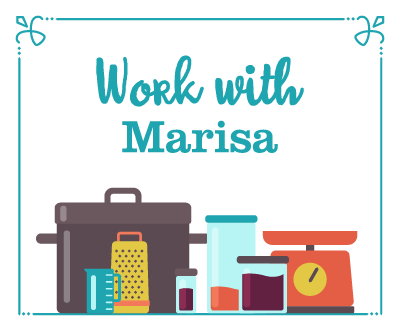 Love your blog, love your recipes, would love to have this canner! i do stovetop, but would love to win and try this! Oooh fun! I like my big old copper preserving pan, but it’s just too big for really small batch stuff. I’m intrigued by the stirrer. I’ve only tried stovetop but am planning on venturing into new worlds, like a crockpot (or a jam maker?!). Maybe it would be an improvement on the burnt fig jam I made last year? I bet it would be my kitchen’s favorite method if it had a vote. The only method I’ve ever tried is stovetop. My last batch was not too great. I’d love to try this new appliance to see if it would help with my jam success! I make my jelly and jam on the stove. I made my first batch, (pomegranate), 2 weeks ago and it turned out perfect! Whew! I then moved on to a batch of jalapeno jelly/jam and it also turned out perfect! Whew, whew! Today I made another batch and it didn’t set up. What?! I did everything the same. Hummmm. So I got online looking for an answer and found your site. Great! Loved your solutions………pick one and move on with your life. 🙂 It will be perfect over goat cheese served with crackers for an appetizer. I have only tried the stovetop method. The August heat makes it almost unbearable to can in my tiny condo kitchen. I have always used the stove top for all of my canning. I have never made jelly, but my preserves are done on the stove top as is chutney, which I make from mango and raisins. This past summer I did a lot less preserve making because the temperatures were so hi here in Florida! I live on a fixed income and would love to have a Ball Jam and Jelly Maker. It’s something that I would likely not be able to afford but would be a fantastic addition to my kitchen when I am canning for my friends and relatives, or charity giveaways. I still love to do the stovetop method. I feel like I put more love into it when I stand there stirring…LOL! I’ve only ever made jam on the stovetop but I’m always open to new technology and kitchen gadgets. Stovetop–just made really delicious apple-cranberry jam! I love using my old pot on the stove for making jam. It’s they way Mom did it when I was a kid. Monkey see monkey do, I guess. I make plum and peach in the summer and apple butter in the fall and winter. Would love to make it in an easy to process way as this appliance provides. Stovetop for me. Love to try new gadgets, though! Mostly stovetop for preserves/jams, but quite a bit of general canning from the crockpot. This would be fun to try! I’ve only made chutney, stovetop method, one time. I would love to try this gadget out for making fruit butters though! As a newcomer to canning, I’ve done the stovetop method a couple times. But I have yet to try out my new pressure canner – I’ll bust it out for the upcoming holidays! I’ve only ever done stove-top so I guess by default it’s my favorite! Maybe I can get adventurous! I have only made stove top jam. I do so love the kitchen gadgets, and this one is so SHINY and PRETTY! Use stove to make my jelly and crockpot for applebutter. I just use what ever pot is available usually my same pot I do my sauces in. It’s stovetop jam making for me. Though once I used the slow cooker to make fruit butter. This would totally get me out of the JAM I’m in…As a newbie, I really haven’t ventured into the canning arena yet, I am a little scared although if you check out my blog, I love to cook…I plan on making Jams and Sauces as Christmas gifts…Help get me out of this sticky mess so like Obama I can say “yes I CAN”!!! Crock pot is so easy – I love it! Usually stovetop for me, but I have successfully made fig jam in the microwave (namely http://www.simplyrecipes.com/recipes/spicy_fig_orange_microwave_jam/) that has turned out great too. I’ve been wanting to learn to can for a while. This would be a great way to start. This is something that I would like to try. So far I use the stove top. I use the stove top but this piece of equipment looks like something I could really use. I just learned how to make jam this year. This would be a wonderful item to help me continue my learning! Never had the time to make jam yet, only tomato sauce. It’s on My List! I like to use my Tamale pot to water bathe my preserves. I got it free last year when I bought something else at the grocery store. It is very light aluminum I think. And it has a solid rack with holes on the bottom. I really like it for water baths, and I’m always interested in dual purpose kitchen tools. If you want a tamale pot they are usually in stores around Nov-Dec and they are super cheap! I use the stovetop method, but since I have an electric its uneven. i think I will try the dutch oven method Brittany commented on….unless I win….then its Freshtech all the way! I use the stove top, but am curious about this method. My favorite way of making preserves is the good ol’ stovetop. But I’d love to try out this fun little jam-maker for small batches! I use the stovetop. Just like Great-Grandma taught me. The only way I’ve ever cooked preserves is on the stovetop…except for apple butter, which I do in the crockpot. Brand new citizen to Canning World. I’ve only tried the stove-top method. I love making jam and this would be an awesome tool to have in my kitchen. First year canning at all! was taught to use the crockpot for making jam.. the apricots did fairly well but the peaches have a slight bitter taste to them, almost like they burned.. would love to try this out! I’ve mostly used a stainless, wider and shallower stock pot for making jams, etc. Been tempted to get one of the jam specific pots with sloped sides. This seems it’d be nice for basic recipes as you say. The only way (and thus my favorite) I have made preserves is on the stovetop. I’m going to have to try it in the CrockPot! This summer was the first time I have eery made preserves and it was very successful in large part thanks to this site! I have used both the stovetop and the slow cooker but think I preferred the stovetop. However, the slow cooker, or something like this appliance would be great for when I need to multitask! I usually just go with the stovetop! I would love to be able to make jams & jellies; I’ve tried & tried but it won’t set up for me…I’ve asked experts, but all are clueless as to what I’m doing wrong. I use my Dutch oven. This looks fantastic!! I cook preserves stovetop. I’m reading crock-pot recipes, but so far have been happy enough with stove-top that I’m sticking with it. I always prefer a big stainless-steel pot and a wooden spoon. Everything goes in the dishwasher after, so easy to clean up. This has been my first canning season and it’s been fewer preserves and more butters. Whenever possible, I’ve used my oven rather than the stovetop. Otherwise the stovetop. Usually stove top, but every now & again I like to go a week of making crockpot meals. I usually throw things in one of my pots and make a go of it on the stove top 🙂 I’m still pretty new, so I don’t have much in terms of dedicated equipment. I imagine that this would work much like my breadmaker which also has a jam making setting. I would love to make small batches. Last time I attempted jam was on the stove top over 30 years ago. I have less energy, and only the use of one arm now, but I still want to make my own. Raspberry, blackberry, and cherry are my favorites. I am just getting into canning and don’t have a favorite method yet. I like using my crock pot because I’m so busy with work and everything else it does the work for me. I use my stove top! Stovetop so far — but I’d love to try the FreshTECH! I think the FreshTECH could be my favorite method!!!! Since I do not have any other equipment, I only do stove top. Would love to try other methods, like this one. Looks fabulous! Love your blog. I’ve only jarred a few times (with your help). I have used the stovetop in the same large stock pot I make soup in. I am so lucky to have lots of access to fresh fruit from trees in our area! I do a lot of small batch canning as I get fresh fruit and vegetables from friends as well as my trees. I would love the FreshTech! I’m old school… stove top it is! I like to make my preserves in my small size crock pot; i think the Ball Brand FreshTECH Jam and Jelly Maker looks FANTASTIC! I would love to have one in my home. I just started cooking preserves and so far I have only cooked them on the stove. Other than freezer jam, I’ve only made apple butter, and I use my crockpot to cook it down. I am embarassed to say that I have not yet made jam at home. I want to try, which is why I read your blog, and if I owned a device like this I would have great fun with it inventing new recipes! stove top with whatever pot fit for the job that I can muster!